Mazal Tov to the King's Speech! (I was rooting for the film to win since a little over a week earlier I had visited the school with a delegation from the UK). Sarky Facebooker I didn't realise that there an Oscar category for documentaries about the Rogozin School in Tel Aviv. Seems like a case of over-specialisation to me. Admittedly my sentence was not very well formed and had I been writing it, say for this blog, I should have written “and Strangers No More, a documentary about the Rogozin School in Tel Aviv, which won in the Best Short Documentary category”. But considering the chatty nature of Facebook posts my post doesn't seem too inchoate. After all, we don’t “write” on Facebook but rather “talk”, i.e. 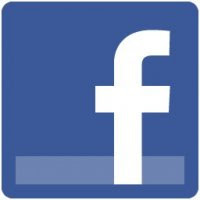 the Facebook language is more characteristic of spoken rather than written English. And when we speak we tend to omit and swallow words (“Hungry?” instead of “Are you hungry?”), interrupt ourselves (“I wouldn’t be upset you know – I mean it’s your choice – if you asked her out”), repeat ourselves (“My sister, she has a friend there now, he is staying with her”) and make other deviations from the norms of English grammar. Speaking is less structured and somewhat untidy. 3. Spoken English has its own grammar. The first view holds that spoken language is not governed by grammar rules - it is messy and lacking order. According to the second view, while the vocabulary we use in speaking and writing may be different (for example, more formal register in writing, more phrasal verbs in speaking etc) the same grammar rules apply to both. Omission of one or more words in clause. Parisians, most of them speak some English. It’s a funny place, this town. The use of present tenses to narrate past events in order to achieve a more dramatic and vivid effect. Exchanges in a conversation often consist of formulaic expressions rather than full sentences. That’s fine. What time? What about…? - look at different uses of well (e.g. to end a conversation, to introduce a story etc). 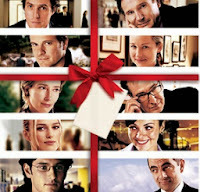 - watch a scene from a film and note down all examples of spoken language. In spoken language it’s common to leave out certain words (very often auxiliary verbs or pronouns) in general questions. Can you put back the missing words in the short dialogues below? f) “Any luck? – “Nope. I’ll try again tomorrow”. What do you think the speaker in (f) is asking about? Click HERE to download a handout with a number of other Spoken grammar activities and exercises. By highlighting the above-mentioned features of spoken grammar we expose our students to real language, not coursebook English. This is especially important on the courses where the main input students get is through reading. Dealing with the language that is not often found in conventional teaching materials is relevant to our students’ lives. It is the language they hear in the movies and songs, and use when chatting on Facebook and Skype. “Levelling out” is a common phenomenon in translation, referred to as one of the translation universals. Corpus studies show that translated texts tend to be more similar to one another than texts in the source language, which is particularly evident in register (level of formality). In other words, both formal and informal texts in the source language tend to lean towards the centre of the continuum in translation. A similar phenomenon can be observed amongst learners of English. They often use informal language when writing formal essays or letters and they tend to use more formal language in speaking. Since we help our learners to sound more formal in writing, I see no reason why we should not try and help make their speaking more informal, where appropriate. Can you think of other reasons why we should focus on spoken grammar in class? Do you agree that we should spend time on it at all? I would like to hear your thoughts on the subject. I believe that the only way to learn is by speaking. As grammar is an essential component of fluency and indeed making ourselves understood it must be taught. However, teaching grammar rules ad nauseum, and then asking students to complete the sentence with the correct form of the present simple or present progressive, or even the present perfect for example is of very little real value. Speak, speak, speak! - Spoken grammar is the only real way of truly learning the grammar inherent in every sentence. Thank you for your comments, Jane. But do you actually agree that grammar of Spoken English merits our valuable classroom time? Two text messages you refer to, Sara, were a snapshot from a new British Council course for Secondary school teachers - I was on the team that developed it. I can't really upload it here (yet) but I can send it to you by email. Teaching grammar to LD/ weak JH pupils can be very frustrating. We sometimes drill and drill the grammar rules (using ALL available teaching aids, multisensory approach, songs, visualizations etc…) and try to make it as simple as possible... and then they do not apply it in real life situations. The other day, after having drilled the present simple for 2 months, teaching the WH questions format, I had a quiz about that, and got this as a question in a dialogue where the reply was given ahead ("I am 14 years old")- I truly expected to get: How old are you? - Rather, I got- "How many years you are/ are you/ how years many you etc... this is where I find teaching grammar to these pupils annoying, maybe even unnecessary, to say the least. 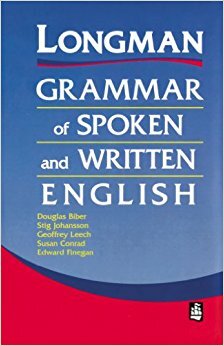 Read a lot of English books - this may sound strange but in fact all the time you are reading English (and also listening to English), you are taking in models of correct grammar that will help you in your own writing and speaking. It is regardless post. When you are writing a book or novel you can grammar check semicolon properly. It will be really best for you. 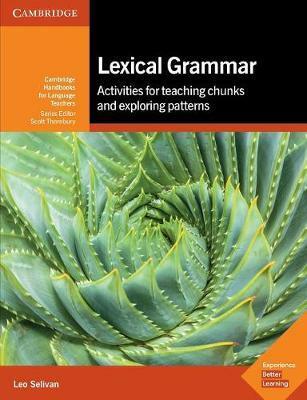 Hi Leo, I am an English teacher, I really enjoyed reading your article.But I couldn't access the link for downloading additional spoken grammar activities. I need them for my classroom consumption. Thank you! I have fixed the link now - thanks for bringing it to my attention. Basically, Dropbox, through which I make the files public, has changed the settings, and I have to go through all the publicly shared files on this blog and re-link them.